Taken on the shores of Lesbos, Greece, where IsraAID medical teams (mostly Arabic-speaking) greet new refugee arrivals. Photographer: Martin Divisek. Israel was once celebrated worldwide as a model for international development cooperation. In the early days of the state, still facing grave challenges to its security and economic stability, Israel committed itself wholeheartedly to sharing the lessons of its experience as a rapid developer with other countries emerging from colonialism. 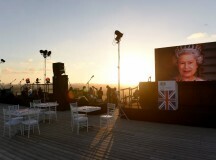 In the golden age of Israel’s development programme, the country was frequently praised for its efforts by UN development organisations, the OECD and by developing countries themselves. However, when all African countries bar three cut off diplomatic relations with Israel in the wake of the 1973 Yom Kippur War, Israel dramatically slashed its aid programme. Today, Israel’s aid budget remains among the lowest of any OECD country as a percentage of Gross National Income (GNI). However, as Israel celebrates its 70th birthday, there are signs of an Israeli development renaissance. Can Israel again take a position of prominence in the international development arena? Can it be once more a light unto the nations? Long before Israel was a state, Theodore Herzl declared in 1902 that once he had ‘witnessed the redemption of the Jews’ he wished to assist in the redemption of Africans (Meir, 1975; 308-9). This belief, in the common historical journey of Africans and Jews from slavery and colonialism to redemption and independence, was shared by the founding fathers and mothers of Israel. David Ben-Gurion’s vision of Israel as a potential light unto the nations underlays his deep commitment to development. He saw international development cooperation with Asia and Africa as a ‘principle aim of [Israel’s] foreign policy’(Inbal and Zahavi, 2008). Ben-Gurion’s Foreign Minister, and later Prime Minister, Golda Meir, enthusiastically took up this call, establishing MASHAV, the development cooperation arm of the Israeli Foreign Ministry in 1960, at a time when only a few OECD countries had already established development cooperation bureaucracies. With the strong support of its leaders, Israel rapidly became an important country in the nascent international development landscape, with one of the most extensive technical assistance programmes in the western world (Decter, 1977; 8). During the first 10 years of its development cooperation programme, Israel trained over 10,000 individuals from over 90 countries and sent more than 4,000 technical assistants to 62 developing countries, in fields including agriculture, engineering and healthcare (Brodie, 1971) By 1964, the Israeli ratio of experts to total population (0.028 per cent) was twice that of the OECD-DAC average (0.015 per cent), and was unparalleled by any country other than France (Peters, 1992; 4). By the end of the 1960s, Israel’s bilateral aid budget, as a percentage of Gross Domestic Product, neared levels of the top OECD donors (Inbal and Zahavi; 16). Israel itself was seen at this time as a ‘living laboratory of development’ – a model that other countries could emulate with comparable results. In the 1960s, there was as yet no academic discipline of international development and little expertise amongst developed nations about what was needed to help emerging countries develop independent and healthy socio-economic structures. Israel, for its part, had much expertise, which it was keen to share, based on its own successes in agriculture, rural development, medicine, immigrants absorption and public administration. Israeli expertise was in high demand in the newly emergent states of the developing world. In 1961-2 alone, Israel hosted visits from the heads of state of the Malagasy Republic, Upper Volta, Dahomey, Gabon, the Central African Republic, Liberia, Ivory Coast, Burma, Nepal, Eastern and Western Nigeria, Uganda and Trinidad. Each came with the hope that they could replicate the Israeli model of rapid economic and social development. The high demand for Israeli expertise enabled Israel to leverage its own aid budget with matching funds from beneficiary states eager to receive technical assistance, and from donor agencies such as UN organisations, the Organization of American States (OSA) and USAID. Consequently, over half of MASHAV’s budget during its first decade of activity was financed by non-Israeli sources (Inbal and Zahavi; 16). By the end of the 15-year span that was to constitute Israel’s Golden Age of Development, Israel was the largest single contributor of development expertise per capita of any country in the world, and its aid programme a source of deep pride both nationally and internationally (Decter; 23). This prediction has proved itself to be true. There has been consistent lack of support for Israeli development assistance, stymieing any initiatives to significantly increase Israel’s tiny aid budget. One public opinion poll conducted in 2008 found that only 56 per cent of Israelis believed Israel should provide assistance to developing countries at all, with a further 17 per cent saying they were unsure. Meanwhile, in the over 40 years since the Yom Kippur War, Israel has lost many of the advantages that made it so relevant in the first place. Where Israel had legitimate claim to being a principal global source of development expertise in 1973, based on its own development experience, as Israel celebrates its 70th birthday, its successes of over half a century ago have little relevance for the modern world. Moreover, in the ensuing decades, the domain of international development has become professionalised worldwide and its knowledge institutionalised. With fewer and fewer Israelis with hands-on experience in developing countries, Israel has gone from being the largest per-capita source of development expertise in the world, to a country that is vastly underrepresented in the staffs of major development institutions such as the World Bank and the OECD. All of this could legitimately prompt the reader to believe that there is little hope for Israel’s future as a leading global development actor. And yet, in the past decade, developments both nationally and internationally give us cause to hope that Israel is now at the beginning of a return to the international development arena. Are we poised for an Israeli Development Renaissance? After decades in which Israel had little development activity to speak of, other than MASHAV’s severely underfunded aid activities, there has been over the past 10 years, an explosion of new Israeli development actors and programmes coming into the field. Across sectors, leading entities are emerging with a new vision for Israel’s potential role in international development, advocating for the government, the private sector and civil society to join forces to harness Israel’s innovative capacity. This vision is shared by champions throughout government in the Foreign Ministry, the Prime Minister’s Office, the Foreign Trade Administration, the Innovation Authority, and even parts of the Finance Ministry, and manifests itself in additional tens of millions of shekels annually of government allocations supporting government and private sector activity in developing countries. For the Foreign Ministry and the Prime Minister’s Office, political considerations have been the foremost driver of this shift, with both Prime Minister Benjamin Netanyahu and Defence Minister Avigdor Lieberman embracing African countries and India, where they are assured a warmer reception than they can expect in the West. Thus, after 30 years in which there were no high-level Israeli political visits to Africa at all, the prime minister saw fit to visit the continent twice in 2017, following Foreign Minister Lieberman’s two visits. Moreover, there has been widespread support from the Ministries of the Economy and Finance for policies to help Israeli businesses innovate for development needs and to sell their solutions both directly to developing country markets and to aid agencies. 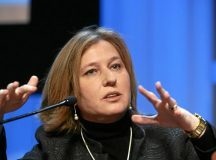 This support has been driven by the recognition that the growing markets of the future are in developing countries, but also by the belief amongst an increasing number of champions within these ministries that Israel has a moral obligation to support financially sustainable activities that also have the potential to do good in the world. Thus, for instance, the Israeli Innovation Authority now has a multi-million shekel Grand Challenges Fund to support innovation addressing development needs, while the Foreign Trade Administration’s project fund, established in 2010, has allocated 35 million shekels to Israeli companies interested in World Bank and UN contracts. As this article was coming to publication, the Israeli cabinet debated a proposed government decision to develop a comprehensive Israeli development strategy, under the leadership of the Prime Minister’s Office. The government decision proposes a development strategy centered around the Israeli private sector’s capacity to innovate technological solutions to critical development challenges in fields such as agriculture, water, healthcare and energy. Should the decision pass, and the strategy be successfully developed and implemented (both of which seem more likely than not at this juncture), this will represent the most important stride forward for Israel’s involvement in international development since 1973. With $10 million a year it is very difficult to routinely operate on the ground in 130 countries, and also designate funds for emergencies. Therefore, we build the solution according to our capabilities, and not according to the needs on the ground. The large number of countries which operate, coupled with the fact that we are a small player on the ground, makes it very difficult for us to reap the benefits. Moreover, while there has been a rise in development-related governmental budgets in the past few years, Israel still has far to go to reach international standards. Israel’s Overseas Development Aid budget (at 0.1 per cent of GNI in 2017) remains much lower than DAC-EU countries (0.49 per cent) and G7 countries (0.3 per cent). It is unlikely that Israel will soon catch up with its OCED counterparts. For this reason, it seems likely that any true Israeli development renaissance, while supported by government, will be driven by NGO and private sector activities rather than increased government involvement in aid projects. Over the past decade, a dozen new Israeli aid NGOs have emerged and, more importantly, several are beginning to adopt more professional standards. Until 10 years ago, Israeli aid NGOs were mostly volunteer-led by people inspired by the principle of ‘tikkun olam’ (literally ‘save the word’) but without any formal training in development practice. Despite good intentions, most of the time the civil society did not embrace an approach in line with international best practices and standards, which limited the ability of small-scale Israeli organisations to: (1) effectively respond to humanitarian crises and development challenges; (2) partner with reputable international institutions; (3) obtain significant global funding from institutional donors; and (4) gain strong visibility and legitimacy. This however, is beginning to change. Several Israeli NGOs have made significant strides towards maintaining international standards and best practices for effective and ethical interventions – such as thorough needs assessment, monitoring and evaluation, accountability and learning. Today, unlike in past decades, several Israeli aid NGOs have begun to raise money through competitive processes of reputable development institutions. This is an important indicator of NGO capacity and quality. Thus, for example, the largest Israeli humanitarian aid NGO, IsraAID, now receives funding from UN agencies, the World Bank, Global Humanitarian Funds and several external governments. Similarly, Nala, that works to prevent the spread of neglected tropical diseases, has secured global institutional funding. 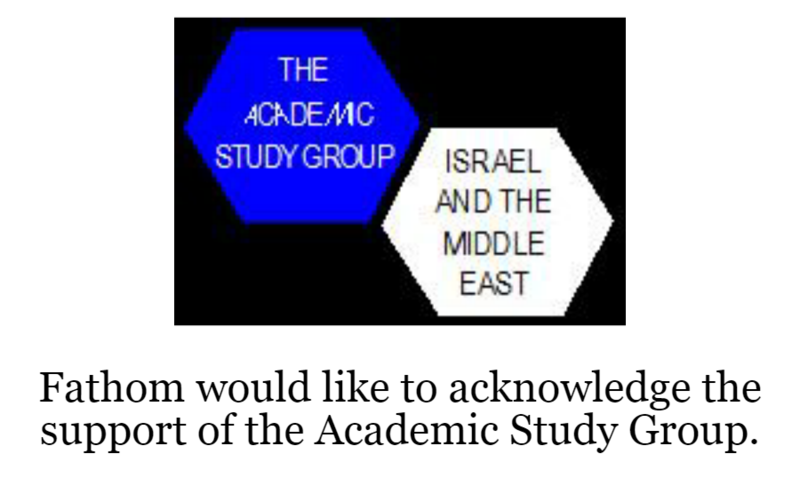 Both of these organisations have built their reputation around harnessing Israeli areas of traditional expertise as well as cutting edge innovation, while maintaining professional standards of development practice. 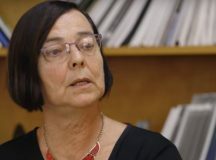 This trend toward professionalisation has also been supported by the emergence of a new Israel chapter for the Society for International Development, an umbrella organisation for Israeli aid NGOs that has been working to raise public awareness to development issues, build NGO capacity and advocate for pro-aid policies in government. Alongside the growth in professionalism amongst some Israeli NGOs, there is a trend toward greater diversification of activities. Whereas 10 years ago the few existing Israeli aid NGOs mostly provided emergency relief, in the last decade additional focus has been placed on long-term sustainable development – utilising historical areas of unique Israeli expertise, such as desert agriculture, socio-economic development and disaster management, together with cutting-edge Israeli innovation to address long-term development needs. 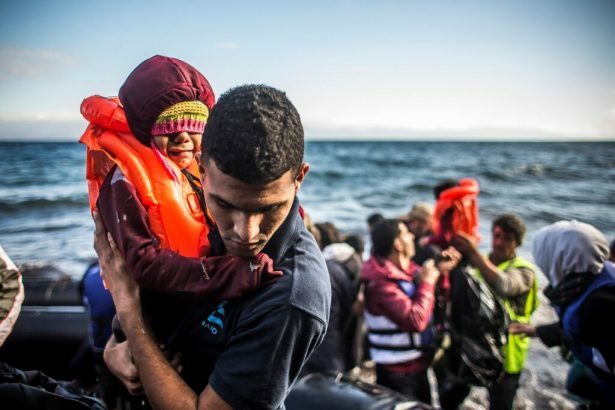 Today, IsraAID, for instance, has the capacity to immediately intervene in crises but also stays in affected countries, when needed, to provide medium- and longer-term technical support in areas such as psychosocial care, women and youth empowerment, child protection, water management, livelihood, and public health. The shift toward more long-term interventions reflects, in part, greater Israeli NGO capacity to undertake more complex interventions. As the Israeli NGO sector has been slowly growing, there has been increasing demand amongst students for academic programmes to prepare them for work in this sector. Hebrew University’s Glocal Community Development Masters programme, which opened in 2011, was the first academic degree for development and humanitarian studies. Since then, several other academic and certificate programmes have been launched across Israel. While the full scope of Israeli aid NGO activity remains relatively small, there is a clear growth trajectory. A new generation of professional Israeli international development and humanitarian workers is emerging to lead NGOs that are proving effective at harnessing Israeli expertise and innovation in the service of international development. Should these trends continue, Israel could have a solid and unique international aid NGO sector with a strong and durable impact. Perhaps Israel’s greatest hope for development impact, however, comes from the private sector. The field of international development itself is changing, in ways that are making Israel’s capacity and knowhow more relevant now. Bill and Melinda Gates predicted in 2015 that the lives of the world’s poorest people would improve more in the next 15 years than in all of prior human history combined. The reason for this, they argued, was the incredible power of technology to transform lives. Already, we are seeing the impact of technologies across the developing world: off-grid technologies are bringing clean water and renewable energy to villages that have never had it before. Cell phones have brought not only communication to the world’s poorest people, but also information on everything from good farming techniques to available jobs, linkages to global markets and financial services. Point of care diagnostics and telemedicine are making health services more accessible to people who live hundreds of kilometres from the nearest doctor. Moreover, new business and distribution models have emerged, making it feasible for companies to invest in development of technological solutions to address challenges faced by the poorest individuals, and to receive sustainable returns for their efforts. These global shifts have not been lost on the Start-Up Nation. When the Pears Programme for Global Innovation was first established in 2008 with the mandate to transform Israel into an important source of innovation addressing development needs, there were almost no start-ups in Israel with relevant innovations. Today there are dozens of new Israeli companies with innovative solutions addressing some of the developing world’s most critical needs. The industry is still in its infancy. With the exception of Netafim’s family drip irrigation system, no Israeli technology specifically targeting needs in developing countries has yet reached widespread scale in developing countries. However, with the new generation of development technology companies emerging, the forward momentum is clear. The potential is vast for Israel to have a great impact on addressing the challenges of emerging countries through innovation. Despite the positive momentum in Israel’s international development sector, many Israelis still argue that, given Israel’s own domestic challenges, the country cannot afford to devote time and resources to others. We, however, agree with Trevor Pears, director of the Pears Foundation – the British Jewish family foundation that has been instrumental in developing Israel’s present-day aid architecture – that ‘the opposite is true, and that Israel cannot afford not to do so.’ In his words, ‘Israel has the ability and know-how to keep faith with its founders’ vision, fulfil its obligations as a global citizen, and enhance its international standing by once again becoming an important provider of expertise to developing countries.’ (Inbal and Zahavi; 7) Indeed, Israel has the capacity to utilise its innovative technologies, knowledge, and expertise to address global development needs and fully contribute to the UN Sustainable Development Goals. The recent growing interest, commitment and increased capacity could pave the way for a strengthened role of Israel in the international development and humanitarian arena. To conclude, how can Israel practically revitalise its development programme and maximise the current positive trends? More efforts are needed to professionalise the humanitarian and development field in Israel so that all Israeli NGOs can effectively compete for funding and develop global partnerships on the international humanitarian arena. 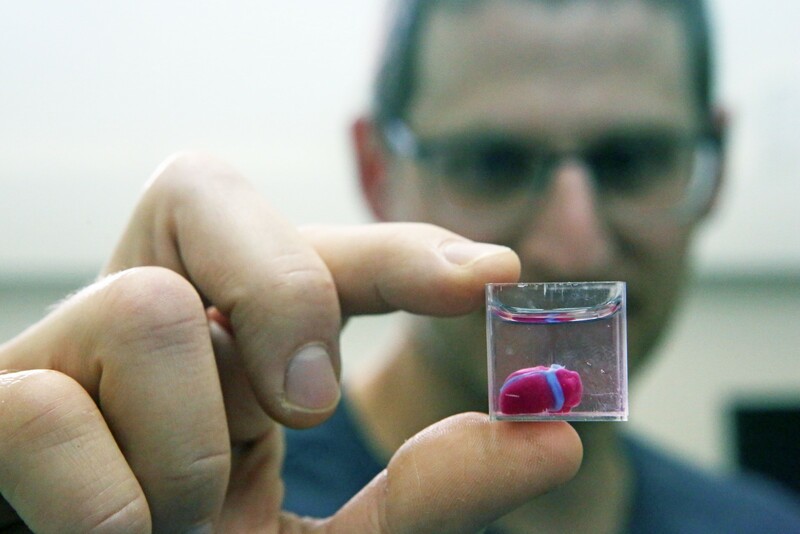 Israel’s strongest comparative advantage, and the one thing most likely to significantly upgrade Israel’s standing in international development, is its ability to innovate technology. For this, we must build mechanisms to reinforce the cooperation between government, civil society and the private sector so that we may work together to understand needs, as well as develop and disseminate solutions. In the new era of Israeli development, MASHAV needs to find ways to reinforce its collaboration with Israeli aid NGOs and the private sector to remain relevant. In 2018, an ‘Israeli model’ of international development and humanitarian response is slowly emerging, anchored in Israel’s unique innovation, technologies and expertise. By combining this expertise with strong professional best practices and international standards and enhanced cooperation between government, civil society and private sector, Israel is on the road to once again being a relevant and impactful contributor to global development. Aliza Inbal and Shachar Zahavi, The rise and fall of Israel’s Bilateral Aid Budget, Tel Aviv University and Pears Foundation, 2008, available at: file:///C:/Users/Ophelie%20Namiech/Documents/Perso/riseandfall%20(2).pdf. Golda Meir, My Life, (NY: Dell Publishing Co), 1975. Peters, Israel and Africa: The Problematic Friendship, (London, British Academic Press), 1992. E. Kreinin, Israel and Africa: A Study in Technical Cooperation, (New York), 1964. Moshe Decter To Serve, To Teach, To Leave: The Story of Israel’s Development Assistance Programme in Black Africa, New York American Jewish Congress, New York, 1977. * Acknowledgements: many thanks to Tamar Lazarus, Development and Partnership Director at IsraAID, and Sunday Smith, International Development Specialist, for their valuable inputs and review.